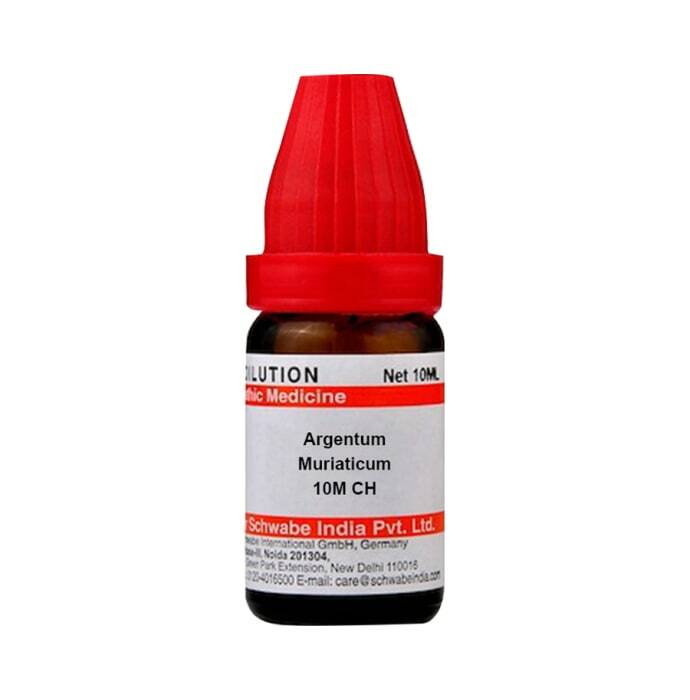 Dr Willmar Schwabe India Argentum Muriaticum Dilution is used to cure a severe headache especially in the frontal and the left temple. The dilution is also beneficial for patients suffering from twitching on the lids that are accompanied by pain in the lower orbital border. Patients suffering from frequent and violent urge to urinate have shown improvement with this medication. The medicine is also used in muscular pain that gets worsen with walking. The medicine improves severe nausea.